Built with smokers in mind, the intuitive design of IQOS is a result of over 10 years of research and development. Let’s look in more detail at the device, a winner of the 2017 Good Design Award. Weighing in at approximately 120 g, IQOS is so light you can take it anywhere. The heft of the device feels light in the hands, and with dimensions of approximately 11 cm by 5 cm, it’s about the size of a small mobile handset. To use IQOS, simply insert a specially designed tobacco stick (HEETS) into the IQOS holder and press the button to heat the tobacco. There’s no need to continuously hold down on any buttons like some e-cigarettes, and after the experience is over (14 puffs or 6 minutes, whichever comes first), your IQOS will shut off automatically. Place the IQOS holder into the pocket charger again to charge the holder for your next experience. Some IQOS users prefer to always have their IQOS ready, and buy a second holder, for continuous charging. Our variety of carry cases are designed to hold an IQOS, a second IQOS holder, and a pack of HEETS for convenient carrying. The pocket charger holds the IQOS holder while charging and also stores the holder when it’s not in use. Indicator lights on the pocket charger ensure you always know when your IQOS holder is charged and how much battery remains in the pocket charger. One light indicates 25% battery power remaining, two lights 50% battery power remaining, and so on. Your IQOS comes shipped with 50% battery life in the pocket charger, and you should be able to use your IQOS right away. 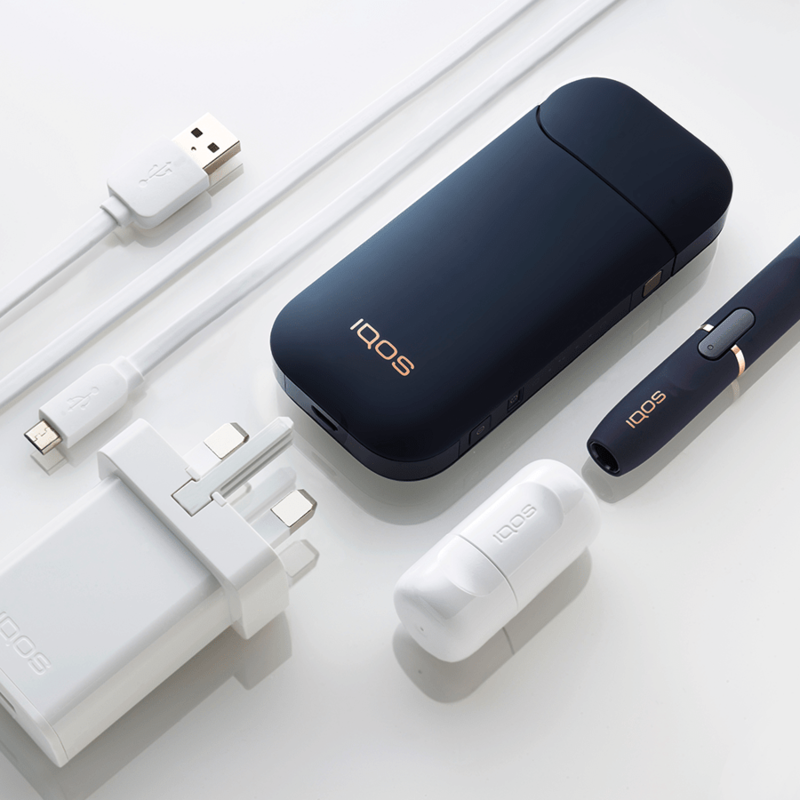 There’s no need to charge the pocket charger to full power to use the IQOS holder. Once the pocket charger is fully charged, you can use it 20 times – the same number of times as sticks in a pack of HEETS. To find about more about the technology behind IQOS, visit our IQOS technology page.